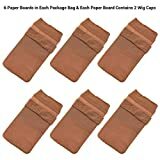 Each Paper Board Contains 2 Wig Caps: 2 wig caps packed together in one paper board and 12 wig caps in total. 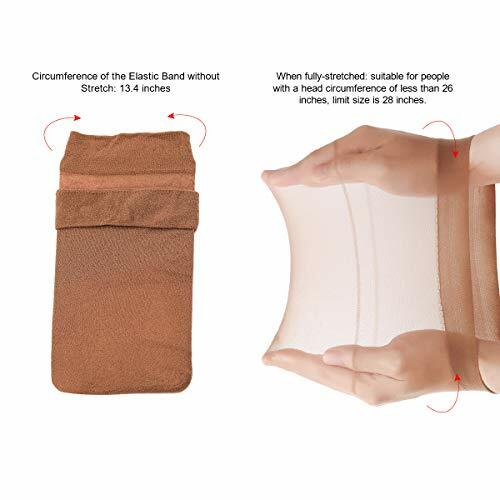 Stretchy Nylon Material and Skin Tone Color: One size fits most. 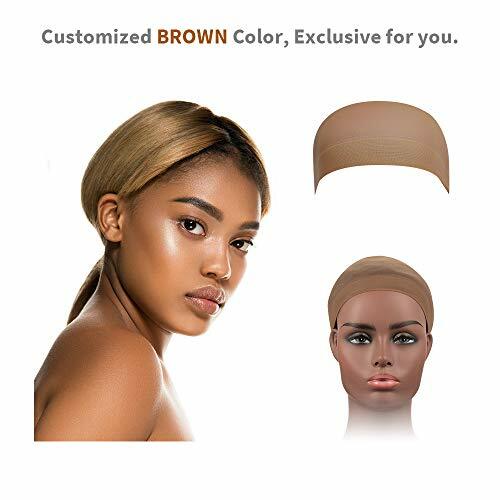 Great for wearing under your wigs and the brown color is more appropriate for customers who have black complexion. Stocking Wig Cap Design: Thin stocking and soft fabric makes it very breathable for scalp. Great choice for summer time. Thick and Wide Elastic Band: Not easy to stretch out and prevent wig cap and wig from slippage. Warm Tip: Only purchasing from 【Dreamlover UK】 are guaranteed as authentic products. For people who have very long and thick hair, please make your hair in ponytails and pin them around your head as FLAT as possible before using this wig cap to make sure no hair falling out. Avlon KeraCare Styling Wax Stick, Style 3, 75g/2.6 oz. 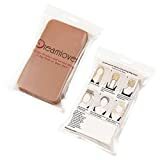 The Most Popularized Wig Caps for Your Wigs - Dreamlover Brown Stocking Wig Caps! 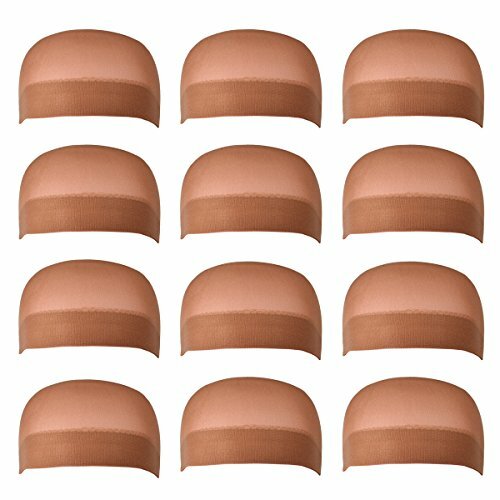 Why the stocking wig caps become the most popularized? 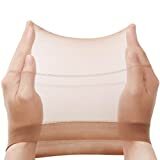 GREAT ELASTICITY - Stretchy enough to fit different head sizes and hair length. If you find the wig cap too tight on your head, please kindly stretch the elastic band or place it on your foam wig head for a few days to make it looser, which may bring you more comfort. EASY TO APPLY - Simple wearing steps save you a lot of time and effort. 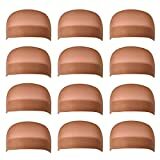 Please take time to read our "Product Operation Warm Tips" email to get the recommended wig cap wearing steps. 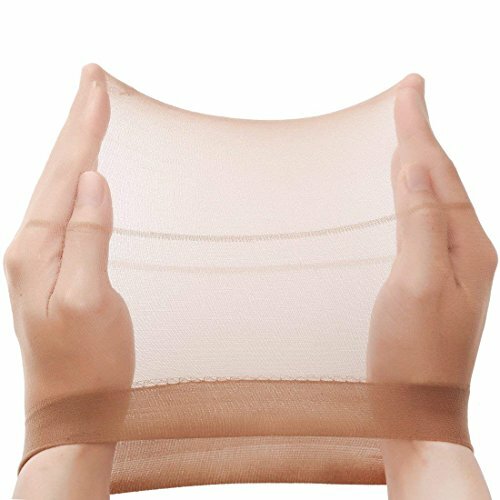 SUPER BREATHABILITY - Thin, soft and comfortable nylon fabric makes your scalp stay cool and breathable, especially in summer time. PREVENT SLIPPAGE - Thick and wide elastic band helps hold your wig snugly and makes it not easy to slip off. BROWN COLOR - Skin Tone color that matches your skin tone perfectly and provide a natural looking.